Darkest Night can be quite depressing at times. It drips and oozes dark fantasy like the goth stepchild of Dragon Age, and the gameplay manages to be harder than Dark Souls: The Board Game but at least in a different way. The game feels like an oppressive, dark journey through a land on the brink of falling into ruin; and that makes it bloody stunning. 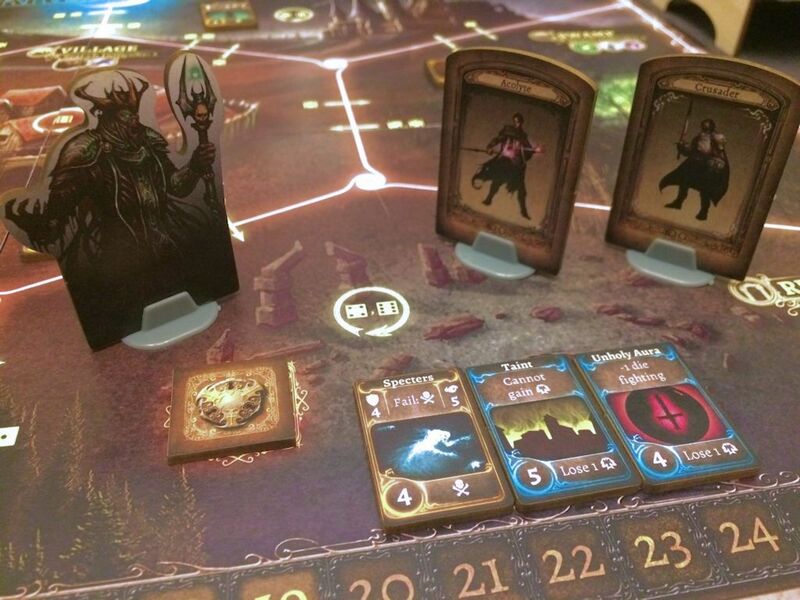 Darkest Night is a fantasy RPG board game in a similar vein to Talisman but much, much darker. It was designed by Jeremy Lennert and published by Victory Point Games. 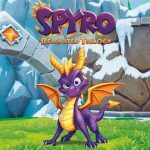 It was successfully kickstarted back in 2016 and has been re-released for its second edition with some new rules and artwork. The story of Darkest Night takes place in a world beset on all sides by an evil necromancer who plans to bring darkness to all of the places of the world. You play as a team of four heroes inhabiting the last bastion of light and must strike out to try and destroy the necromancer and stop his reign of terror for good. 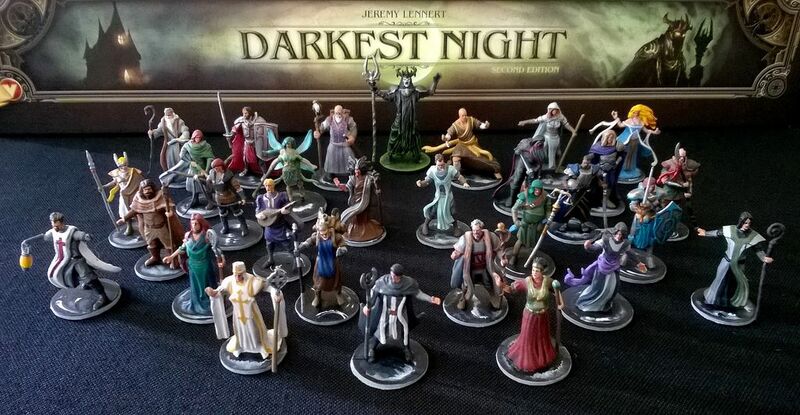 In Darkest Night you play as one of up to 29 different characters, each with their own special abilities and strengths. In a similar style to a lot of old CRPGs of the 90s, the classes are all taken straight out of fantasy classics. You’ve got stuff like the nymph, the mage, the thief, the bard, even things like priests and monks. These characters all have different stats, as well as different abilities to aid you in your quest. Going into Darkest Night, you really have to think about your choice of character and how they tie into the player party as a whole. In almost all variants of gameplay, you’ll have a four-team party, no matter how many players are actually playing the game. 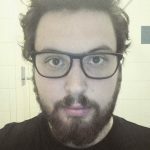 So you need to make sure that you consider balance when creating your party. You’re going to need a character to lead attacks, a character to control the different obstacles that crop up, a support character of some kind to buff your allies and maybe a swift character to run around and complete objectives. That is just an example of one possible strategy and one possible combination of party members. Part of the beauty of the experience is that there are many other party types to try, like adding more support characters and super-charging a single fighter, for example; with so many characters, the possibilities are endless. Darkest Night might seem a little overwhelming when you first get the box open. It has a hell of a lot of pieces with it, and when you first see that cardboard sprew piled together in there, it can throw you a little. Eventually, once you’ve got all the pieces sorted out, it’s not really all that bad. Most of the cards are actually powers for the different characters, which means that you only actually have to pay attention to some of them for each game you play. The number of cards is also overwhelming when it actually comes to choosing which of the huge number of characters you want to play as. Luckily, there is a compendium that goes into detail on each character and their various types of powers. It is highly recommended that you study this booklet when you’re picking your character, or else your first game is likely to be a disaster. In many ways, your first game being a disaster is almost unavoidable. As well as a huge number of characters to choose from, there’s also a pretty big chunk of stuff to manage during gameplay. You have to try and destroy the necromancer, and to do this, you need to get holy relics to help either destroy him via a ritual or attack and destroy him directly. To get the relic, you need clues that you get from solving certain mysteries, which in turn are found by searching the world. While this is going on, you also have to take events on most turns that usually do something nasty, as well as revealing quests you have to complete before they time out and also do something nasty. Not to mention the darkness tracker which leads to something really, you guessed it, nasty. If you can’t tell already, Darkest Night is reeeeally nasty to the players, but it does fit the themes of the game, at least. On top of that, you can actually strip out some of the elements using special rules included in the rulebook. This includes things that actually reduce the difficulty of the game itself, each with a difficulty modifier number to show you how much it affects the difficulty. This also includes things like not adding quests or mysteries to the game, which don’t actually affect the difficulty but do change what you have to manage during gameplay, which is a nice touch. The difficulty of Darkest Night is very customizable, as is the gameplay in general. 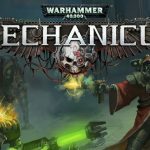 This means that if you’re finding it too hard or easy, or if you just straight up don’t like an element of the mechanics, you can remove them. It’s a decent sign that thought has been put into what different types of tabletop gamers would want out of a game like this, and few other games have gone to this level to make sure that everyone enjoys the experience. The artwork has been improved from the first edition, at least subjectively it has. Obviously, whether you prefer one style of art or another depends on personal preference, but things just look more distinct and clear. The older versions of the character cards, for instance, had a more ‘classic’ vibe, sticking to representational artwork, like symbols and colour schemes. In the second edition, the artwork for each character’s power cards now actually features the character it’s based off of, which in many ways is preferable with so many available characters. 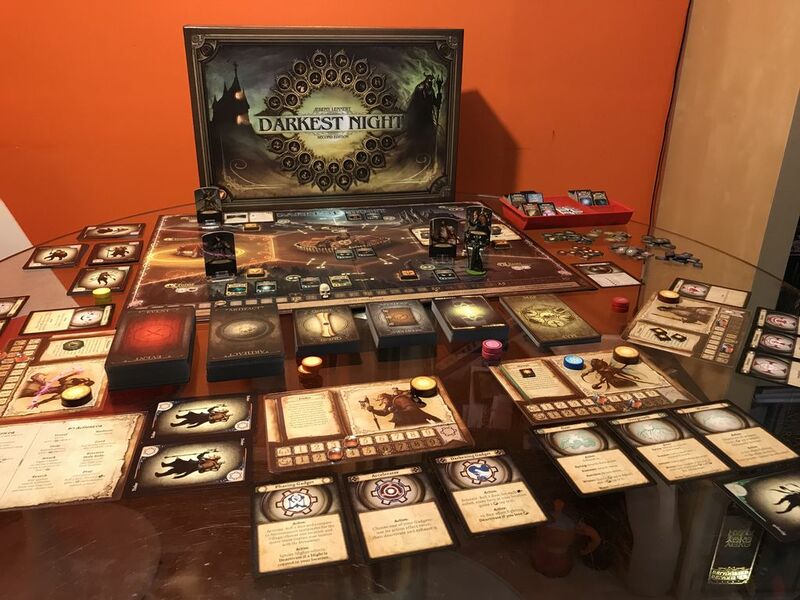 In general, the differences between Darkest Night’s first edition and second edition is that the first edition was clearly stripped down and made to have great gameplay but also be easy to set up without taking up loads of space. In the second edition, this has clearly gone out the window with the huge number of extra characters, as well as the optional bigger board that offers more spaces for tokens used during the game. 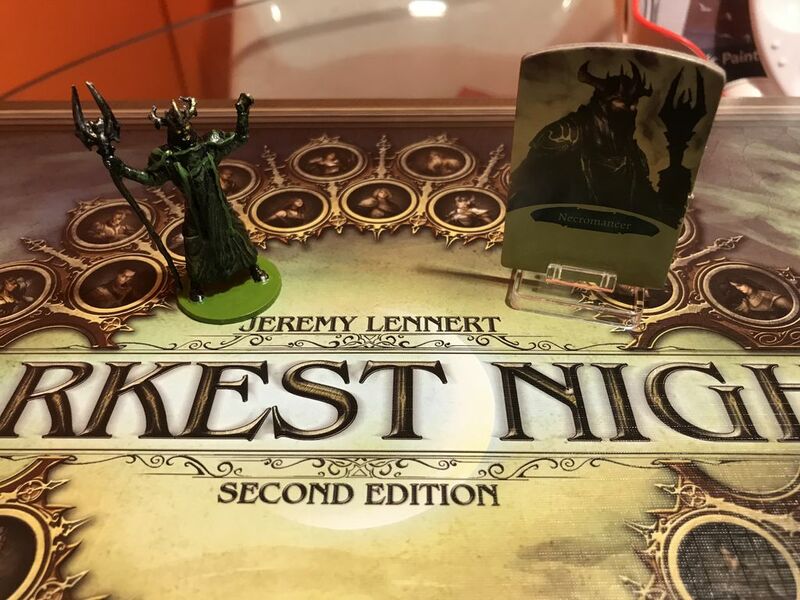 All in all, the second edition of Darkest Night offers exactly what it set out to offer, a premium version of a decent dark fantasy RPG experience. If you’ve ever been into tabletop RPGs or the classic fantasy board games like Talisman, then this is the game for you. The bigger board is useful for all of the things going on during gameplay, and it is the first time in a long time that the game has had rules that are this flexible. 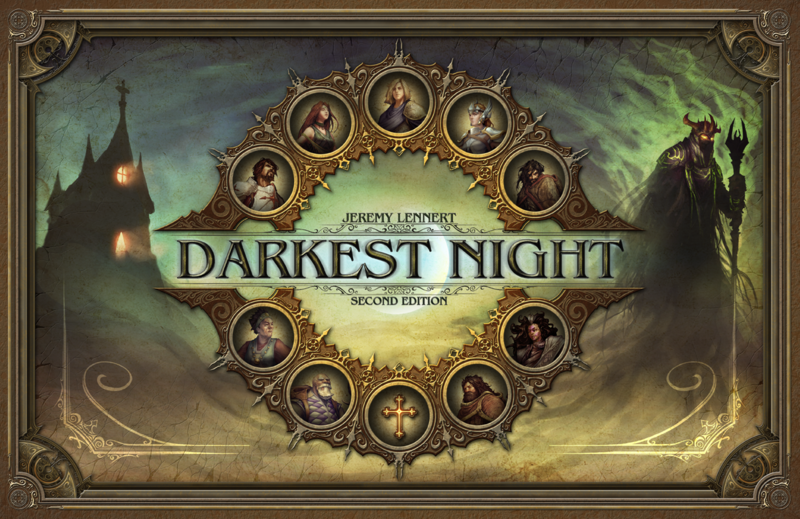 Darkest Night: Second Edition is a premium version of a very good game, only made better by its new artwork and huge amount of customisation potential. If you enjoy fantasy games at all, you'll be able to get hours, if not days, of enjoyment out of the game. It is brimming with dark atmosphere and has so many elements that anyone who ever played an old-school CRPG will recognise immediately. There might be a fair amount to keep track of, and the game might be a tad difficult at first, but its difficulty is less frustrating than Dark Souls, and the ability to reduce the challenge if you're not enjoying it is a big plus. A true gem of grim fantasy games. 29 characters to choose from! !